Dense upright habit, semi evergreen. Small yellow flowers with prominent yellow stamens, June to August. 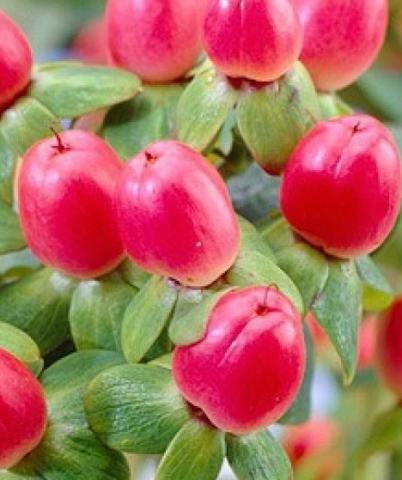 Grown for many clusters of plump rounded candy pink berries in the autumn. Sun or shade. 1m tall. Happy on most soils.